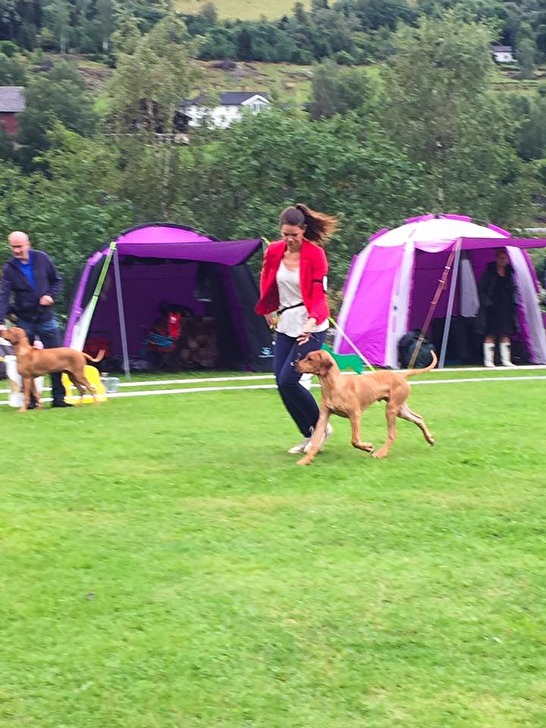 This saturday 19th of August I drove to Lillehammer in Norge with Thyra and Buddha. It was a long drive for almost 6 hours and the weather was so bad, it rained almost the whole time I was driving. 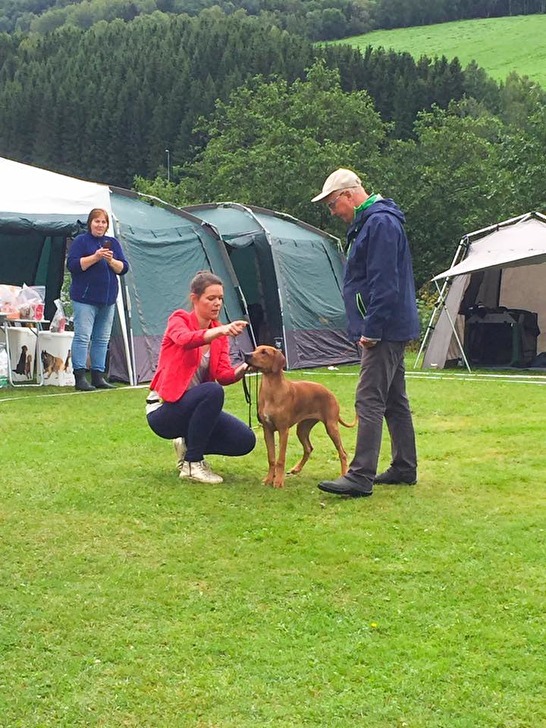 But even though the weather wasn't on our side I was still happy to meet sweet Bellnodie A Pride Of My Heart Ben "Bennie" and his owners again! And it was so fun to meet Marit again! First out was Bellnodie A Pride Of My Heart Ben "Bennie" and Bellnodie A Pride Of My Heart Ace "Buddha" in puppy class 4-6 month. Bellnodie A Pride Of My Heart Ben "Bennie" was 4th best male puppy! Congratulations!! 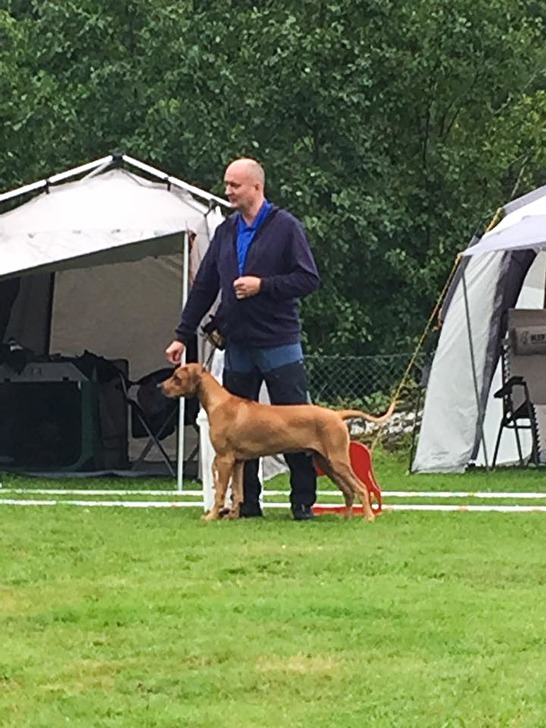 And Jörn and Bennie was awesome in the ring, this was their first time. I am so proud of you! Bellnodie A Pride Of My Heart Ace "Buddha" was placed as 2nd best male puppy! Congratulations to Marit who won the class! Then it was time for Bellnodie A Pride Of My Heart Joy "Thyra" to enter the ring and she finished 2nd in her class right after half sister! Congratulations to Alex and Marianne! Before it was time for the long ride home me and Marit stopped and took something to eat. Thank you Marit for dinner and lovely company as always! Thanks to Bennies owners for your lovely company and for the photos! Loved to see Bennie again!